The former receiver for the San Francisco 49ers finished in second place with partner Anna Trebunskaya. All-time leading rusher and former Dallas Cowboy, Smith won Season 3 with partner Cheryl Burke. Smith also placed fourth in the ensuing All-Star season. The Winter Olympian and partner Julianne Hough came in first place on Season 4. Ohno later came in fifth place during his All-Star season. Partnered with Julianne Hough, the Indy race car driver won Season 5. The former defensive end for the Miami Dolphins was the runner-up in Season 6 alongside partner Edyta Sliwinska. The Olympic figure skater placed first in Season 6 with partner Mark Ballas. The NFL player and Super Bowl champion partnered with Kym Johnson to finish second in Season 7. Partnered with Mark Ballas, the Olympic gold medalist finished first in Season 8. The gymnast later finished runner-up on her All-Star season. The U.S. Olympic male skater and partner Anna Trebunskaya came in second place on Season 10. The Super Bowl winner added another trophy to his collection when he and partner Kym Johnson won Season 12. The former wide receiver for the Green Bay Packers won Season 14 with his partner, Peta Murgatroyd. The Paralympic snowboarder and partner Derek Hough finished second on Season 18. Partnered with Maksim Chmerkovskiy, the ice dancer and gold medalist finished in first place in Season 18. Ultimate Fighter VanZant placed second on Season 22 along with partner Mark Ballas. The Olympic gymnast and partner Valentin Chmerkovskiy finished Season 22 in first place. The former MLB catcher and his partner, Lindsay Arnold, were runners-up on Season 24. NFL running back and New York Giant Jennings finished Season 24 in first place along with partner Emma Slater. 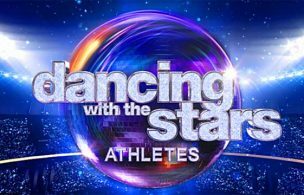 After 25 seasons of ABC’s Dancing With The Stars, the show is returning for yet another season, this time with a twist — an all-athlete cast. With their competitive nature and athleticism, professional athletes have a track record for performing well on the show. Since the first season in 2005, 62 athletes have competed on the show and 10 managed to walk away with the Mirrorball. To prepare for the new season, we’ve put together a gallery of the top 17 athletes of years past. Click through the gallery above to see who made the cut! Former pro Louis Van Amstel selects his top men and women.